Nothing deoxidizes the rusty cockles of one’s heart like seeing an older car running around on the street, particularly one that was not too common when new, and even rarer now. 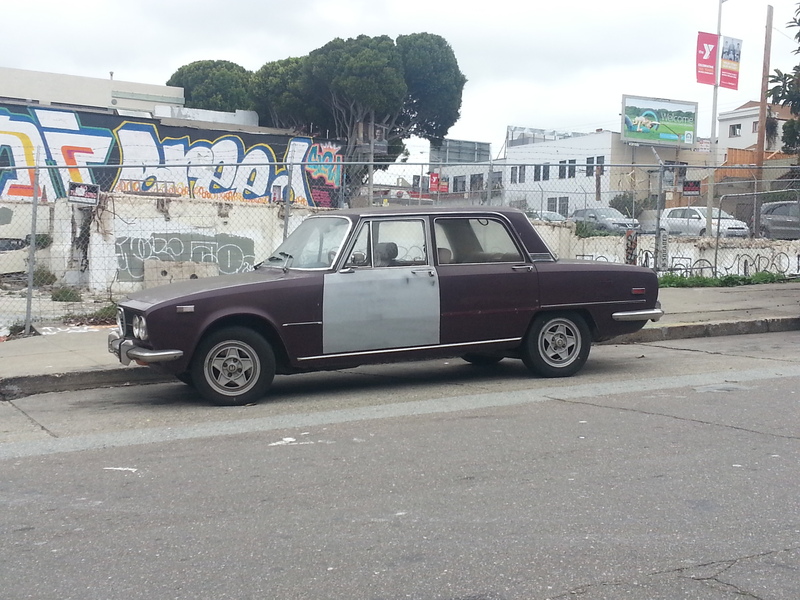 So it was quite a surprise seeing this well-known (to SF Bay Area Alfa nuts) 1973 Alfa Romeo Berlina parked on a side street in the Potrero Hill neighborhood of San Francisco, gathering dust. Of course, anything near a busy street tends to gather dust, and while this car is a project from outside appearances, the previous owner had done extensive work on the engine, transmission and suspension before moving out of the area. Hopefully, this car is still being used as intended – the last owner posted on online forums about flying through freeway on-ramps, so it must be in better mechanical shape. So often, basic car survivors are saddled with an automatic transmission. And there’s something about an automatic in a basic car that goes against the simple purity of the concept. It’s like asking for a glass of wine in a dive bar – you know what they’ll have is not going to be that great anyways, plus the bartender’s going to look at you funny. So that’s why it’s great to see that the original buyer of this car had the good sense to just order a beer. Okay, so a Saab 900 is not quite like a dive bar. But it’s refreshing to see a surviving base 900 in such excellent shape, and with a 5-speed manual. 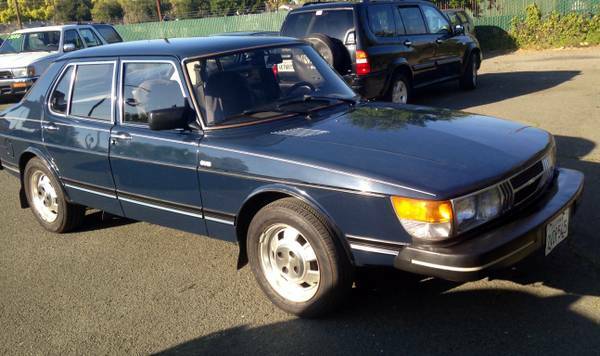 Check out this 1983 Saab 900 sedan for sale for $1395 in Redwood City, CA. Towards the end of the 1960s, Lancia was really on the ropes financially, and their family-size sedan, the Flavia, dated to 1960, which meant its design phase occurred back in the late 1950s. Lancia really needed something to boost interest, and so they decided to heavily revise the Flavia sedan. This included a fully new nose, tail, and updated interior. The result was somewhat bland, if European-looking, and the cost to produce the car was so high Fiat nearly succeeded in killing it once they’d acquired Lancia. Lancia’s managers prevailed, however, for lack of a suitable alternative until the Beta was ready. 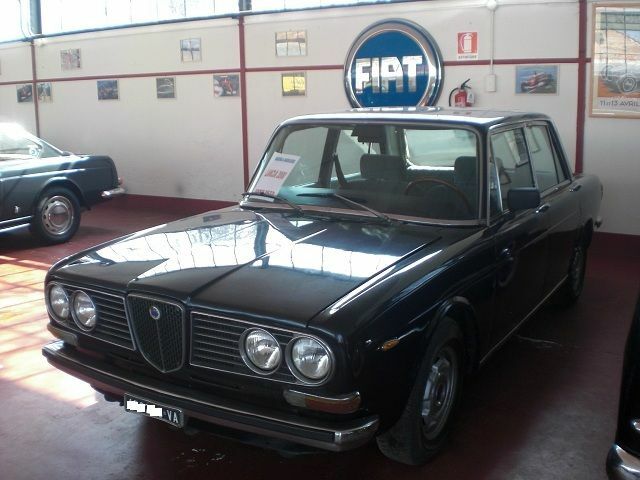 You can find this end-of-run 1974 Lancia 2000 Berlina iniezione for sale for €3000 ($4100 today) in Cassano-Magnago, Varese, Italy.